I already follow Totally Target on twitter. Thank you! I already like on facebook. thank u! wouldlove to win this one!! Wow! I hope I’m a winner! Thanks for all you do. Crossing my fingers for this great prize! Such a cute gift card. Thanks for the chance to win. i love your giveaways your so kind! i like totallytarget! yay hope i win this one. Thanks for saving our family $$$$. I live across the street from target, very dangerous! What fun this is! I love Target! Thanks for sharing all the great deals! Ha Ha LOVE this card it is super cute! Love this one! Thanks for all you do! Thanks for hosting another giveaway! What a cute card! I like u on fb!! 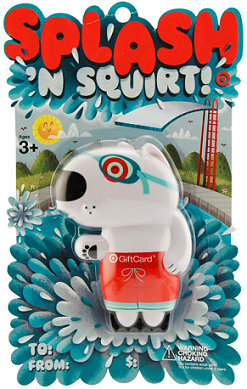 It would be great to win a Target Gift Card. Exciting! I’m planning a Target trip this week! Yay! Pick me! If I am lucky enough! I love Target! Thank you for all you do!